Are you finished your holiday baking yet? I finally see the light at the end of the tunnel. Holiday baking is an important tradition that my mom instilled in me at a young age. Each November, prior to starting my baking, I plan out each and every cookie I plan on baking, set a baking timeline and let the baking fun begin. I love to get the kids involved in the process too. It’s a wonderful way to spend time as a family. 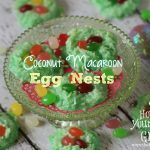 While I love to take the time to carefully bake dozens of Christmas cookies each year, I often find myself pressed for time with the million other holiday tasks that need completed before the “big” day. Sometimes, it’s convenient to have a cookie in your repertoire that you can quickly whip up. 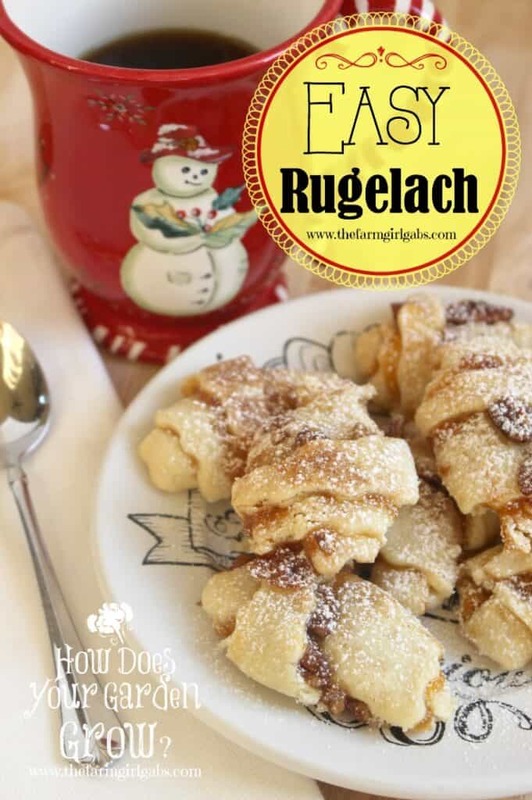 This Easy Rugelach is one of those cookies! This delicious cookie is traditionally made with flakey cream cheese dough. 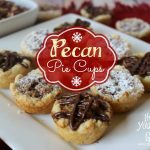 My version uses store-bought pie crust, which saves a considerable amount of time in the preparation. Apricot jam, a cinnamon-sugar mixture, brown sugar and chopped pecans are sprinkled over the dough. The dough is then cut into slices and rolled up. The result is a delicious classic pastry-like cookie that can be whipped up in no time. Cut store-bought piecrust into 16 wedges. Pop jam into microwave for 30 seconds. Remove and brush piecrust with half of the jam. Sprinkle crust with half of cinnamon-sugar mixture, brown sugar, and nuts. Starting from fat end, roll each wedge up into a crescent shape and place on a baking sheet lined with parchment paper. Brush with beaten egg and refrigerate at least 30 minutes. Bake 30-35 minutes at 325 degrees until golden brown. …AND, if you are looking for even more cookie recipes. Be sure to hop on over to Pinterest and follow my “C is for Cookie” board below. There are lots of great cookie and bar recipes to try. Follow Melissa Russo / How Does Your Garden Grow?’s board C is for Cookie on Pinterest.